Adam Broderick lives in Truckee, CA, with his yellow Labrador and an overflowing gear shed. 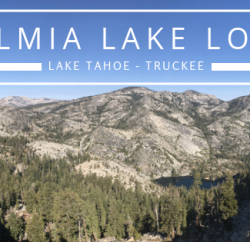 When he’s not at TMS, he’s exploring Tahoe’s endless wilderness of dirt, granite, and snow. Full disclosure, you might not want to read this. It’s not exactly a quick read. I wasn’t sure how to tell the story of my October 18 volcanic adventure; it took a while to come to terms with the result. I’m uncertain how big of a day it was, but it felt bigger than probably all but one or two days I’ve had in the mountains. A friend recently said that weather got the best of me, not the size of the task at hand, and I’m trying to see his perspective. It sounds better that way. Admittedly, I approached this day with some arrogance. Having spent many big days in the mountains, I underestimated this one. It was a humbling experience, to say the least, and necessitates many words to explain why it was such a grand adventure without taking the fun out of it. 2,200 words, give or take. It’s essentially a rambling journal entry, which I re-wrote then edited during a long flight from Taiwan to California. Over drinks, because drinks on international flights are free. There she is. Mount Rinjani, on Lombok, Indonesia. 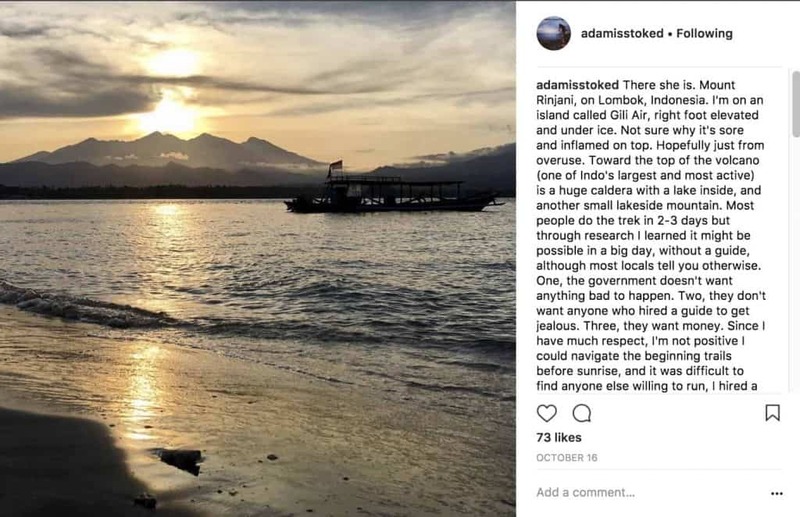 I’m on an island called Gili Air, right foot elevated and under ice. Not sure why it’s sore and inflamed on top. Hopefully just from overuse. Toward the top of the volcano (one of Indo’s largest and most active) is a huge caldera with a lake inside, and another small lakeside mountain. Most people do the trek in 2-4 days but through research I learned it might be possible in a big day, without a guide, although most locals tell you otherwise. One, the government doesn’t want anything bad to happen. Two, they don’t want anyone who hired a guide to get jealous. Three, they want money. Since I have much respect, I hired a guide. I’m also not positive I could navigate the beginning section before sunrise, and it was difficult to find anyone else willing to run. 9 out of 10 said it’s not possible, although there was a little-known foot race here last year. Actually, figuring all of this out was quite a mission itself. I spoke to a few guides via WhatsApp (International messaging tool. Found their numbers on web forums) and they were not very helpful. Probably due to the same reasons listed above. Then I met a cool English couple on an island called Nusa Lembongan. They hiked it in 2/3 days a couple weeks ago. The man was the first person I’ve spoken to who believed I could pull it off. That was motivating, and perhaps all I needed to hear. They put me in touch with the master trekker, a man who has been guiding people up since the 80s. For $150 US he will pick me up at the boat in Bangsal, drive me two hours to his lodge where I can sleep, feed me, set me up with a guide who is willing to run (I think/hope he understands my intention and where to pick me up), then get me back to the harbor. I didn’t even try to negotiate with him. Normally I would, but this did not seem like the time to be frugal. I wonder if I’m biting off more than I can chew. What’s the saying? You never know ’til you go? 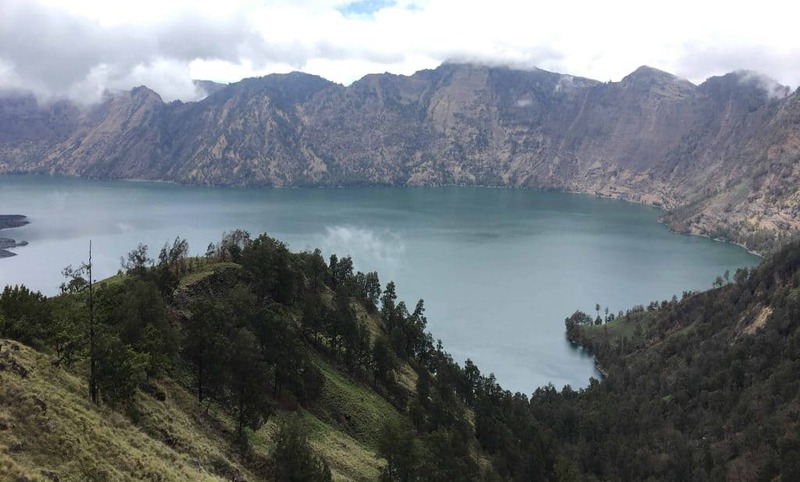 The $100 I paid for my Rinjani guide was well worth it. 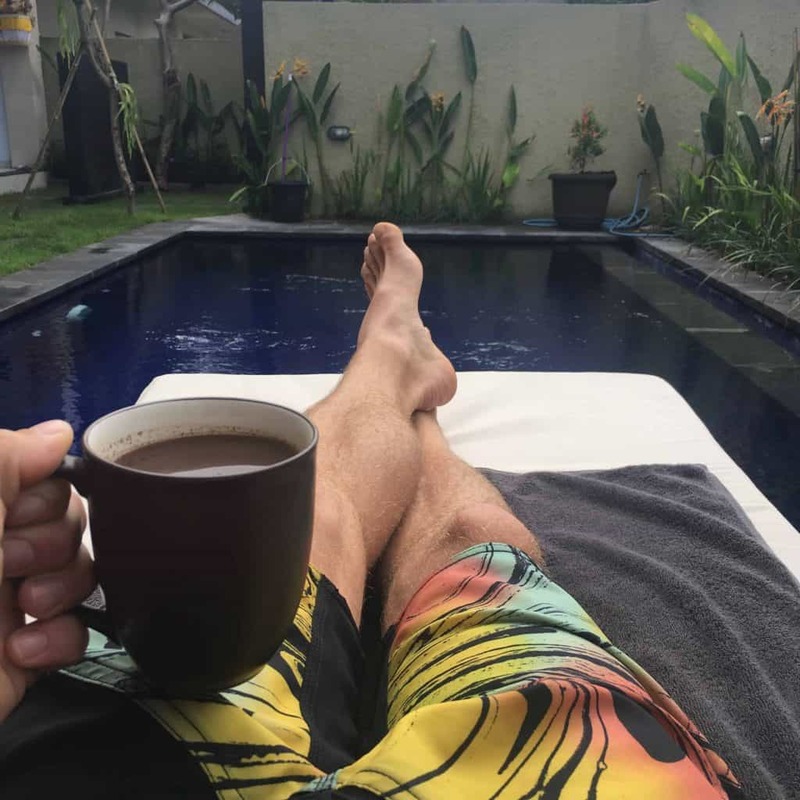 It would have been $150, but instead of accepting a ride to the lodge from Bansal (where a fast boat dropped me after two days on Gili Air, a small island off the coast of Lombok), I rented a motorbike and navigated myself the two hours through rain. Instead of taking a room in the lodge, I chose a sleeping pad and open air. Mr. Hardy, the master trekker who has been guiding Rinjani hikers since the 80s, originally told me that I could summit in a single day. When I arrived, plans had changed. 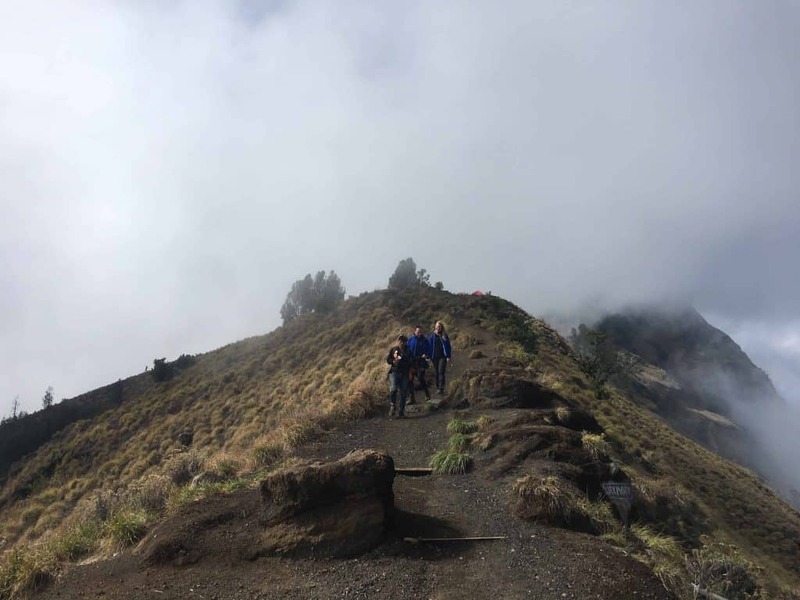 Turned out I would only be able to reach the first crater rim because my guide, named Anon, was 50 years old and there weren’t any other guides in town who would do the whole thing in a day. Because of these three reasons, I was only asked for $100. Thank you, Mr. Hardy, for being so hospitable. 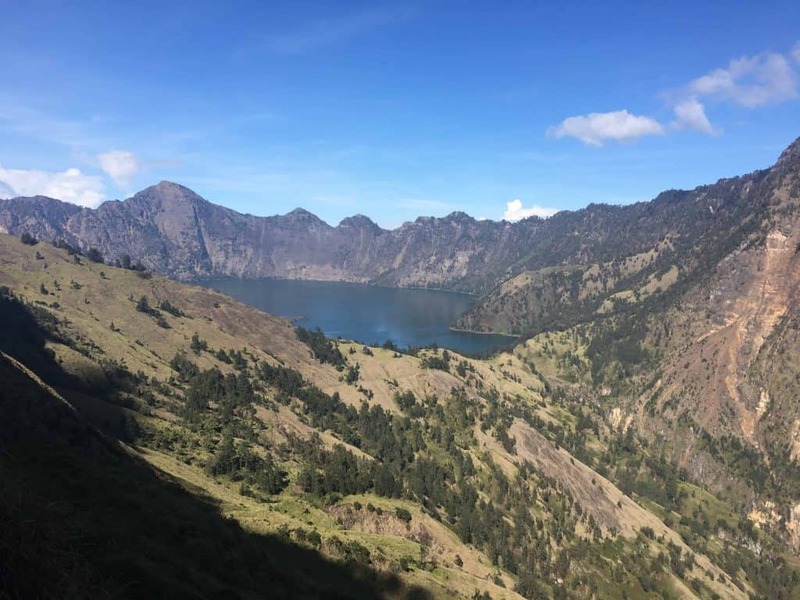 *Editor’s Note: If you’re ever on Lombok and want to hike Mount Rinjani, I suggest going through http://www.lombok-trekking.com. It’s the same company that leads the Senaru Falls hikes. You can see the first fall from the property. Stok, the live-in cook, gives a mean garlic-ginger anti-inflammatory massage in exchange for cheap beer and cigarettes. Now I understand the healing powers of garlic and ginger. *Bonus Editor’s Note: Sorry, Mr. Hardy. Should you ever read this story, you’ll learn that I lied to you about what I did that day. I went much farther than you think. I lied purely out of compassion for Anon. Please don’t fire him for letting me go alone. He didn’t want to deceive you, but he understood how hungry I was for the summit and didn’t want to hold me back. After all, wasn’t he technically hired to guide me and feed me? If you do fire him, which I highly doubt because you’re all so f’ng kind, he is rather exhausted after decades of guiding people along this ridiculously challenging route so he might not take offense so long as you help him find other work. The night before my highly anticipated adventure (or misadventure, you could say) I slept for about 1.5 hours. Too many nerves, too much stoke. Worried about this, excited about that. I tossed and turned, contemplating how I could convince my guide to let me run ahead solo, then guide myself through the dark for several hours with little trail knowledge. I wondered how sketchy the crater rim ridgeline would be in the dark, and how much vertical actually awaited me compared to what I found through web research. I wondered how far my foot would let me go. I mean, I was already limping and hadn’t even begun climbing. I also spent some time adding 30 new tracks to my “GnarShred” playlist in case the going got tough and I needed an extra push up the mountain (or mountains, as I would soon learn through experience after all that web research). 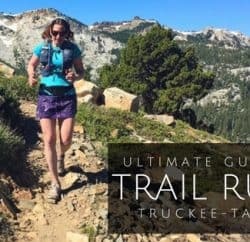 I looked up images of trail sections so I would know what to expect. That didn’t help much. I took screenshots of trail maps. That helped a little, but good thing I took more than one because they differed quite a bit despite all being maps of the same area. Indo stylin’, as they say. Yes, I could have planned better, but I wanted adventure. Yes, I still have a lot to learn. Yes, I used the music. And yes, that wore out my battery so I had to limit my photo snapping. The elevation markings on these trekking maps don’t exactly line up. I finally fell asleep at around 11:00 p.m. At 12:30 a.m. my alarm titled “WAKE THE F**K UP AND CRUSH!” (minus the asterisks) woke me up. For breakfast, Anon made rice, veggies, chicken, a fried egg, and coffee. All but the coffee was harvested from the property, and this was the same meal I had for lunch and dinner the previous day, and twice for lunch immediately after this big day. Anon climbed on the back of my motorbike and we rode about a mile to the trailhead, parked at his friend’s house (Senaru, 601m), turned on headlamps, and started up a muddy trail at 1:20 a.m.
After hiking ahead of Anon for 1.5 hours, and surprising him with our pace, I convinced him to let me leave him behind at POS 2 (1500m – see inaccurate trail map) and we agreed to meet later at Senaru Crater ridge aka Pelawangan 1 (2641m). That’s where Sengara Anak Lake first comes into view and where most trekkers spend the night. Mr. Hardy had told us to stay together and that this is where we would turn around after taking in the view, but Anon let me go for the summit. I will forever appreciate him. He warned me to be extra safe, and explained where to stay right during the first of three major ascents so I didn’t get cliffed out. The language barrier made it difficult to understand him, so I thought he was referring to a different right, and I still got cliffed out. But hey, he was cool about it. Segara Anak Lake, taken from Senaru Crater Rim. Along the way I got lost twice, for a total of almost two hours. The first time was on that first crater-view ridge, Senaru Crater Rim, between 4:30 a.m. and 5:30 a.m. I went left instead of right. What can I say besides it was dark and I followed a path. Too bad it wasn’t the correct path. I learned later that this was the junction Anon had warned me about. I had my headlamp, sure death on one side, and sure painful tumbling and backtracking on the other. I moved through the dark for about a half-hour before turning around. When first light finally illuminated enough shadows to expose my turn, I dropped in on a half-hour of steep switchbacks to Segara Anak Lake. During the ascent to that first ridge, between 3:15 a.m. when I left Anon and 4:30 a.m., I felt spider webs and probably also some spiders on my face and down my arms literally every 30 seconds (wearing a tank top seemed like a great idea), while running uphill through a dark jungle in Indonesia. They weren’t poisonous, but regardless, I don’t like spiders. The second time I got lost was just before the second big climb of the day, between Segara Anak Lake (2000m) and Sembalun Crater Rim (2639m). I had to backtrack what felt like about 1.5 miles to ask some porters for directions. They told me I had gone the correct direction, but not far enough. Ha! Gotta have a sense of humor, right? So I head back, out of breath and losing steam since this is the second time I’ve been lost and the clock is now seriously ticking. By now it was about 8:30 a.m.. I almost turned around. The power I felt all morning was beginning to wear off. I imagined Anon waiting for me on the ridge, wondering if I’d had an accident. I decided to push on. I felt committed since I had spent so much time planning and traveling to get there. I asked myself, “Why are you so stubborn?” Still, I couldn’t turn back. Then I crossed the same bridge where I’d originally turned around to ask for help, and sure enough, just after the bridge was my turn toward the next rim. Ha! I laughed at myself for spending so much time lost, so close to the trail. Then I looked up. “Are you serious,” I asked myself, or God, Satan, or whoever the hell decided to put a trail there. Porters, in sandals. Look top-left for a better slope perspective. I decided to move to the next checkpoint, Padabalong (1,800m) before making such a drastic decision as calling it a day. Again I wondered how long I would leave Anon waiting for me, and I felt bad, but I pushed upward. The slope was steep and technical. Rocky, with occasional handrails that were probably installed before the most recent islands of the archipelago emerged. Or so that’s how they seemed. They wobbled, unstable and potentially unreliable, similar to my legs. Senaru Crater Rim is top-right. 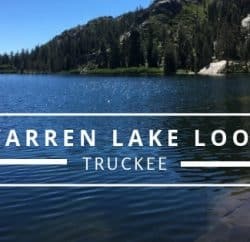 It took a half-hour to descend from there to the lake, where I arrived at sunrise, ate a Snickers bar, popped some Vitamin I (Ibuprofen), and filtered water. I turned around, head down and pride shaken. I was so close, but I had to get off of that mountain before the potentially-deadly-when-dry rocky slope became a quite-possibly-deadly-when-wet rocky slope. I crashed downhill as fast as I could without losing my grip. That meant going pretty damn slowly. I met a man on the ridge who sold me a $2 Coca-Cola. 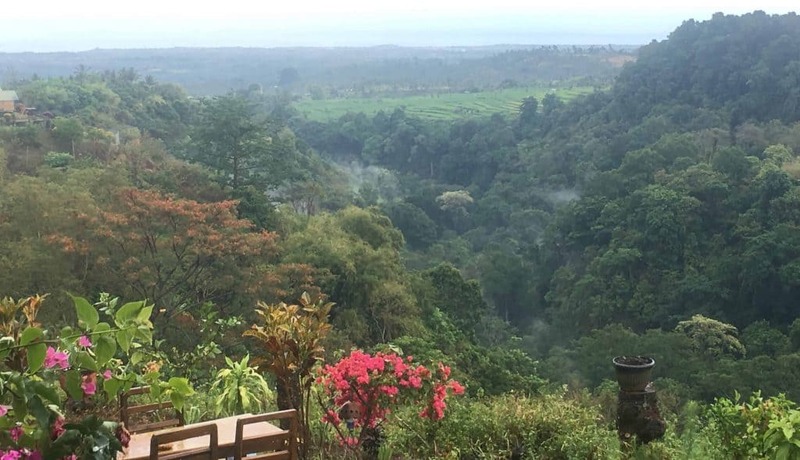 I don’t normally drink soda, but…when in Indo…and when that tired, on a volcano, so far from my bike. The sugar picked me up a bit. It took about a half-hour of downhill internal debate to realize that perhaps getting lost for two hours that morning was a blessing in disguise. Had I not, I would have actually been on the summit, enjoying the view across the crater, in the opposite direction of incoming clouds, and the storm would have surprised me from behind. That could have been really, really bad. No visibility, no direction, no traction. No, thank you. Trekkers heading back to camp due to weather. All of this sucked, but I eventually cracked a smile. I felt as if October 18 was the culmination of my mountain adventures thus far. The planning, the persistence just getting to the base, and convincing myself, as well showing Anon, that I could handle it solo. Except, I didn’t handle it solo. I had briskly walked the first 1.5 miles with my 50-year-old guide, then I got lost for two hours. But when I got lost, I played it cool and thought clearly. I didn’t summit or get the view from the top, and I added almost five miles and what felt like well over 500m of vert when I was lost. I didn’t handle that beast alone, but I did get the miles and elevation I set out for. Some was unintentional and a little frustrating, but overall, tons of fun. Anon has hiked the full route over 300 times. He hollered, “Superman!” as I topped out on the final climb back up to the Senaru Crater rim. I didn’t feel superhuman by any means, but I did feel accomplished, and although my legs were almost numb from the final climb, I still had a good buzz going. We reunited at 11:30 a.m., eight hours after we’d separated, and he had a pineapple for me. He pulled out a knife, peeled it, passed it, and for a few minutes I closed my eyes and devoured that pineapple. That alone was worth something. Maybe not $100, but it was f’ng delicious. But really, I was just glad he trusted me to go ahead. I was able to get lost in a foreign place. I did it alone, a challenge I originally volunteered for but later realized I had underestimated. Because of both these reasons the experience was epically rewarding. 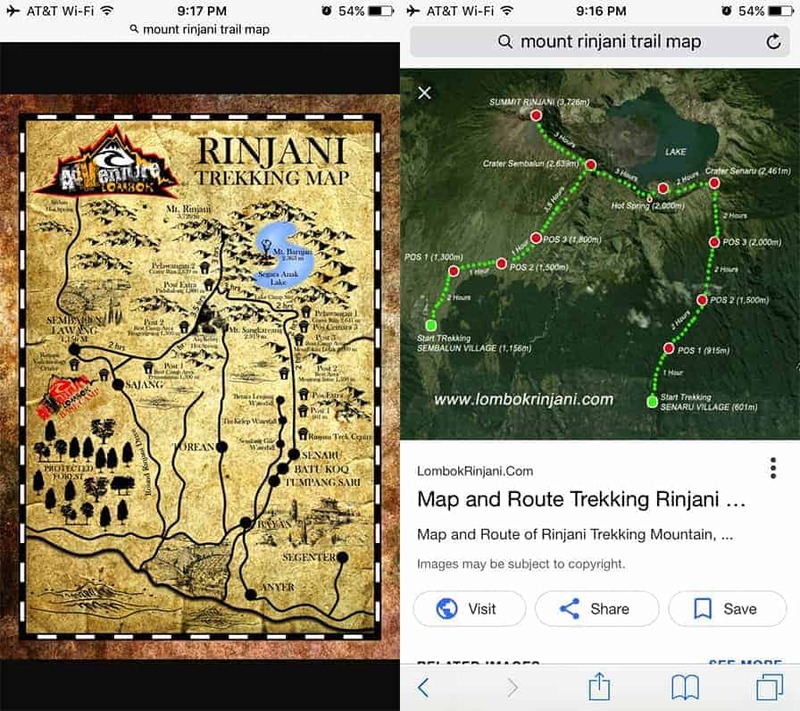 Rinjani humbled me. I came in hot, a bit arrogant, and had to accept that I’d bitten off more than I could chew. Still, I’m glad I sent it. I feel good about what I did achieve, and about making what in the long run (completely punintentional) felt like a wise decision. I dreamt of that summit, and turning back at the final push was incredibly memorable. Sometimes failure can be a more valuable than success. Approximate Stats: Time: 1:20 a.m. – 1:20 p.m. Bike to bike in 12 hours. I estimate about 30 miles out and back with 4000 meters of vertical gain (including being lost, filtering water, sitting down to snack, and a lot of scratching my head), but I’m not sure because my watch died not long after the lake. All I have is three different maps and none of them line up. 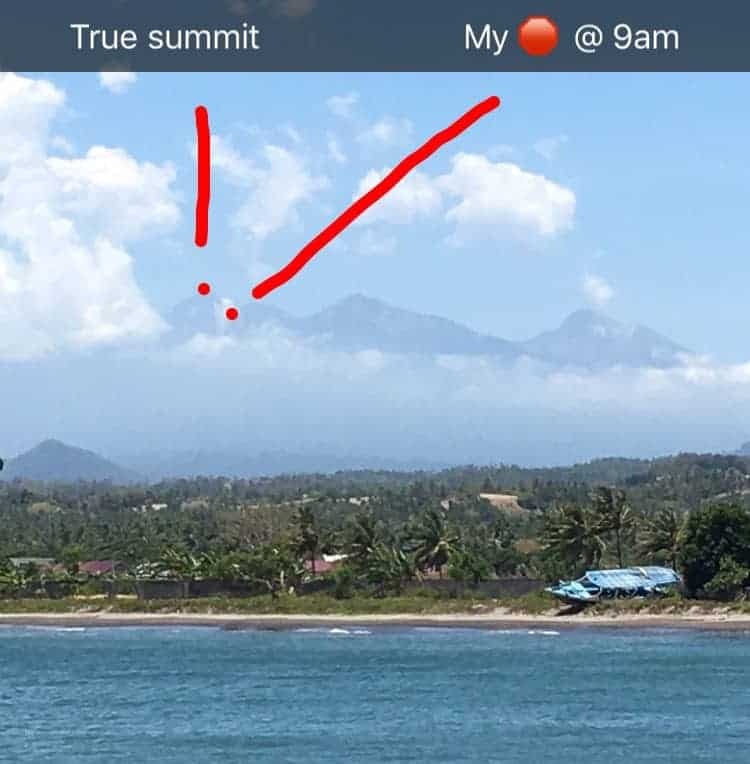 Anyone know the actual distance and vertical gain from Senaru to the summit? Anon smiled when he later told other porters about where I had gone and how fast. 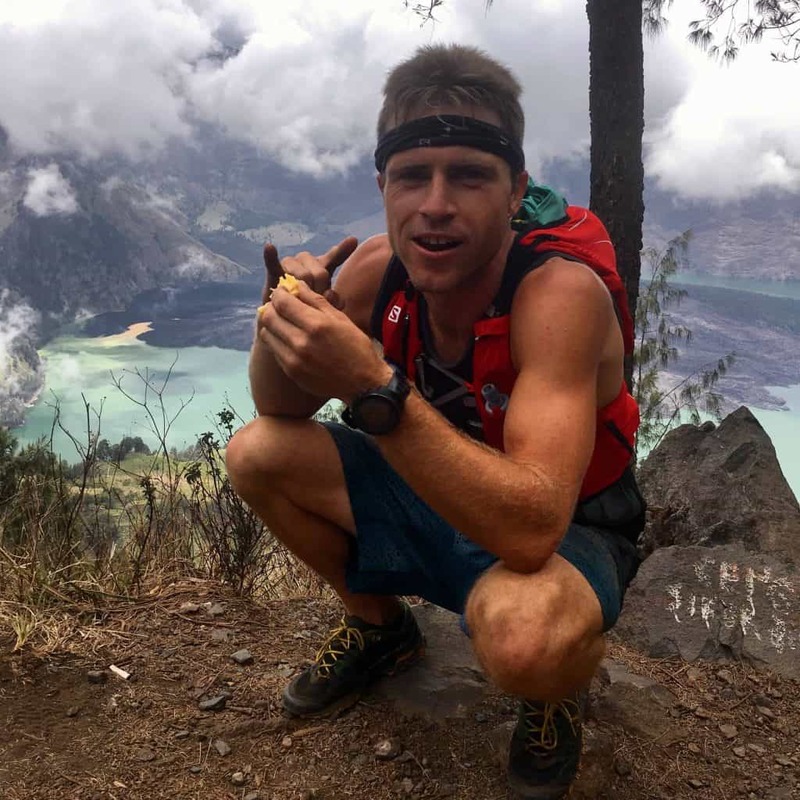 Alone, with spiders in my face, lost and sweating through a dark jungle in Indonesia, monkeys and stray dogs hissing and barking at me on the final descent. Priceless. Here’s what I had with me: Black Diamond headlamp, a Salomon running vest, a Sawyer water filter, two Snickers bars, and my favorite pair of La Sportiva mountain shoes. I was so stoked when I got back to the trailhead and learned what time it was. I laid down on my back and smiled at the sky. I should have fully charged my GPS watch the night prior so I could reminisce on my steps via interactive map. I think I’d laugh at the multiple mistaken routes. View from the boat back to Bali. Left my bike far-right, three high-marks prior the summit at far-left. Until next time, you beast. 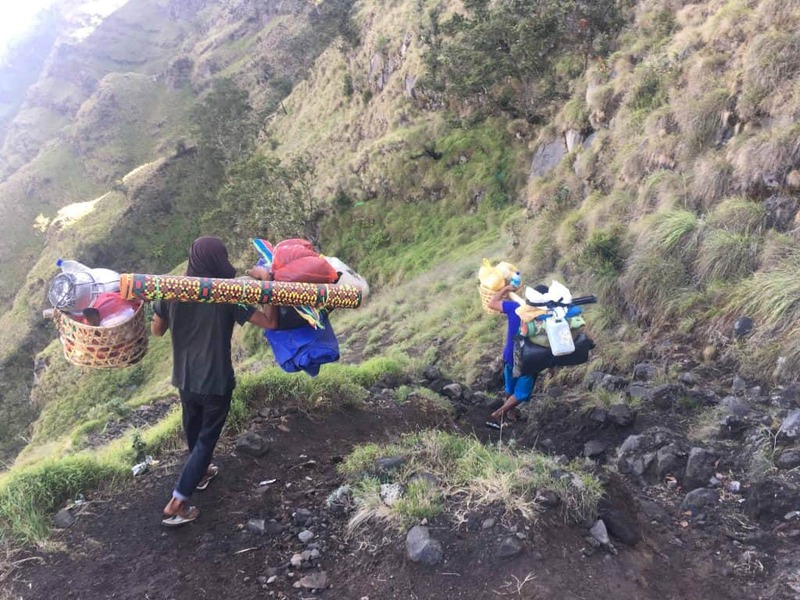 How Much Does it Cost to Climb Mount Rinjani? Included in my $100 guide fee was a $25 park fee. The average cost of a guide for the standard 2-3 day trek is roughly $150 US dollars. A 45-minute fast boat from Sanur, on the east coast of Bali, runs about $25 but I think the slow boat is $8 and will only consume about four hours of your hard-earned vacation time. Lodging shouldn’t cost more than $20 per night, and a motorbike runs about $5 per day, including gas. Rinjani blew me away. 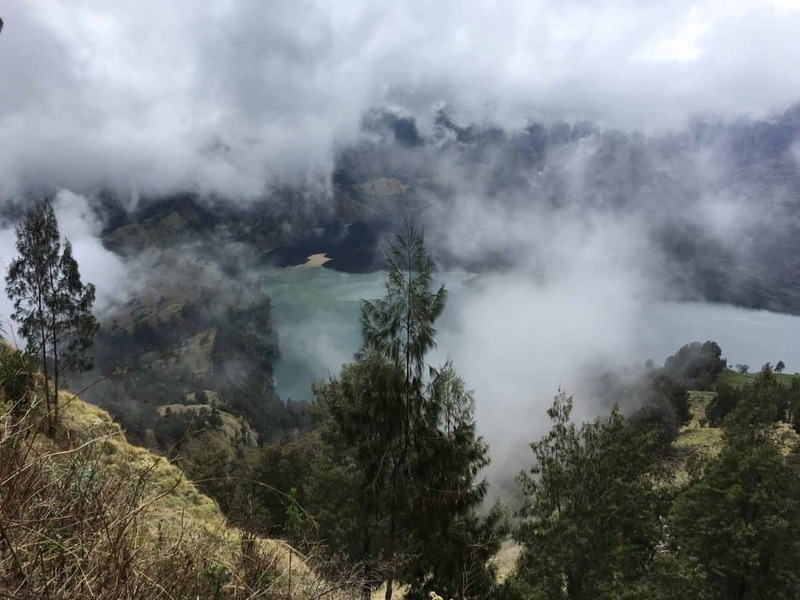 I was overcome by beauty while glaring down at the crater lake, surrounded by steep spine walls and shorelines that leak sulfur and mud from a smaller, smoking volcano (Mt. Barujari) into dark blue to create tones of teal and tan. 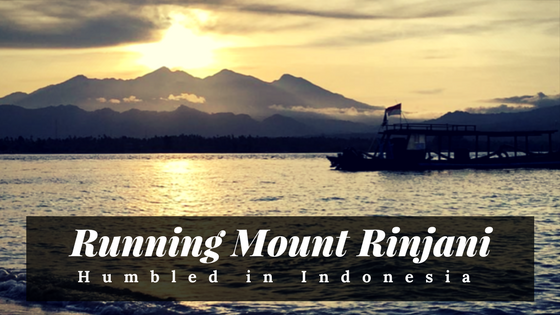 Most of our parks’ beauty don’t compare to Rinjani…aside from the aggressive monkeys, stray dogs, and trash. There was a disgusting amount of trash. Overwhelming. When I would get lost, I’d start looking for trash to get me back on route. The Leave No Trace philosophy seems decades away from Indonesia. However, the archipelago seems to hold healing powers which are mostly misunderstood and underestimated, and often humbling. Poolside lounging, pondering the last adventure and brainstorming the next. Check out more trip reports here!